Fresh off her trip from across the pond, Priyanka Chopra was spotted leaving her hotel in New York on yesterday afternoon(June 3rd). 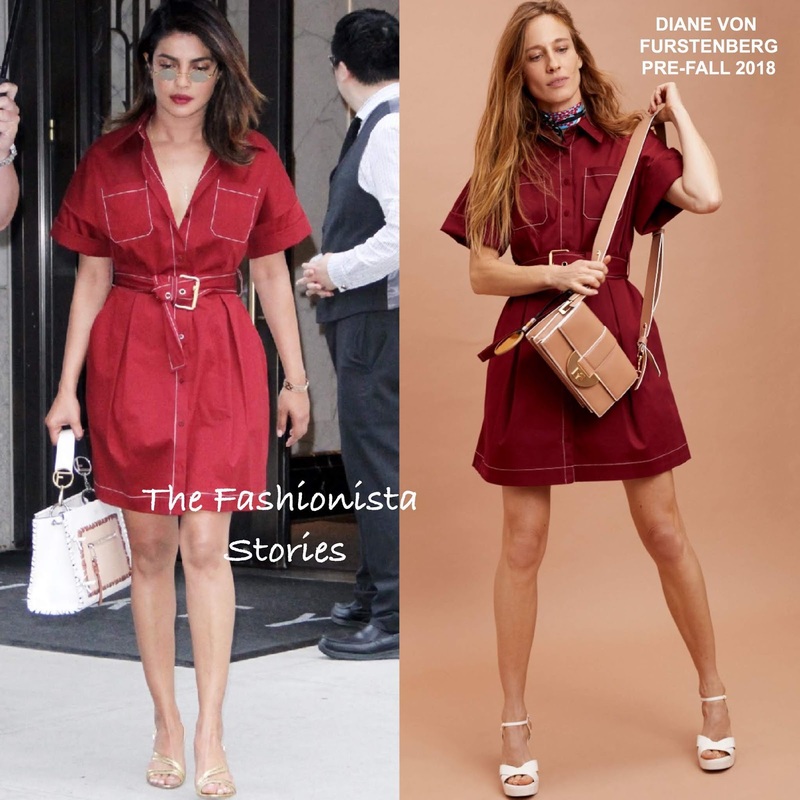 For her outing, she wore a DIANE VON FURSTENBERG PRE-FALL 2018 ox blood red sort sleeve shirtdress which stops above the knees and features a belted waist and a button closure. This shirtdress is a great piece because while it works for this season, it can also be transitioned into fall. A matching lip, side parted layered tresses mirrored sunglasses, a white tote and gold sandals rounded out her look. You can get Priyanka's DVF dress via the designer's website HERE.